Welcome Diversity & Celebrate our Differences!! This month be conscious and mindful of the important role an active lifestyle plays in keeping us healthy. Aim for 30 minutres or more of exercise 5 days a week! Our Spring Health Walk will be held on Saturday, May 4th at 9 a.m.! please visit the "Patient Engagement" tab below, or at the top of this page! 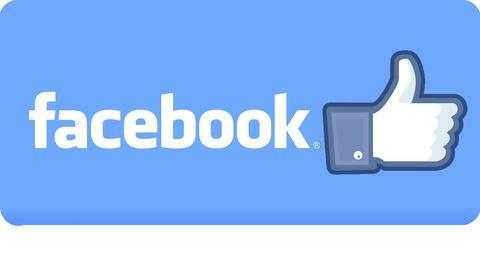 Like us on Facebook to stay updated on what's happening around the office! Click on the picture above to take you directly to our page! We are excited to annonuce that the Office of Michael A. Randolph, M.D., P.C., will be participating in the Maryland Primary Care Program (MDPCP) starting January 2019. This program will allow our practice to foucs on better patient care and patient health outcomes. In no way are your current Medicare benefits changing. Please follow the link below to read more information about the program. If you have any questions, please contact our office at 410-554-6489. 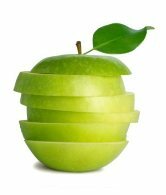 Over the years, Dr. Randolph has established a superior reputation for providing thorough, effective, and efficient care. 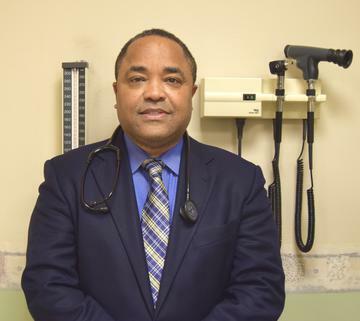 Dr. Randolph’s specific interests are men's health, hypertension, and diabetes. You can visit the 'About Dr. Randolph' tab to learn more about Dr. Randolph. 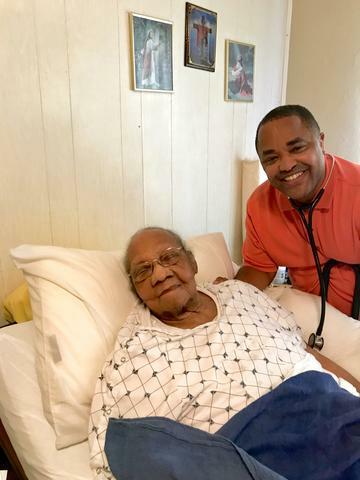 Dr. Randolph on a home visit with Matilda Gwynn; our oldest patient!! Actually, patients 18 to 110!! Happy Birthday to Matilda Gwynn, who turned 110 on September 18th, 2018! !